A good girlfriend of mine came to visit during Christmas break some years back and we were having a discussion with my parents. As we caught up on the past few years and discussed our future plans and dating lives, my mom made the comment, “You girls are doing wonderfully…but you know that you are pricing yourself out of the market the more you advance, right?” What? No! I guess the thought was hard to grasp because if you grew up anything like me, you were always taught that if you put God first and invested in yourself, that God would bless you with the right man at the right time. So in the beginning of your adult life, you go to school…collect a couple degrees…get established in a career…keep yourself to the best of your ability…spend your singleness getting a good grip on who exactly you are…and, most importantly, nurturing your relationship with God…all in the name of setting a good price to attract a worthy and capable buyer. Only to arrive at the marketplace and realize that there are no buyers in the market for your skill set. So I guess mom was right…(as is often the case). But even so, what do you do in this situation? The temptation is to believe that the grueling and arduous process of becoming who you are was all for nothing. To take an honest look at the big picture, it seems like those who don’t care about doing things God’s way are winning and you’re not. The enemy would have you to think that God doesn’t care and that He has no intention of delivering on His promises. Personally, I’d consider it one of the greatest lies ever sold. And, unfortunately, too many of you have bought it, causing you to deeply discount your price to attract more buyers, quality notwithstanding. Ladies, don’t waste your wealth any longer. The most important thing you should know about the top marketplace is that GOD is the market maker there. In investing terms, a market maker is a third party that assumes market risk by buying/taking possession of a security, thereby creating a market for it. Market makers are obligated to guarantee the sale of the security at a firm, often non-negotiable price. You don’t have to worry about competing in this market. Jesus already paid for you. If you trust Him, He will match you with the right buyer…one who won’t mind the pursuit or the price. He won’t release you until HE finds one worthy. Settling is never an option. Contrary to popular belief, the value of a product doesn’t change because buyers are scarce. I’d actually argue that it isn’t determined so much by who is there, but by who’s not. Let’s take a Ferrari, for example. Those in the market for a Ferrari have established themselves as serious buyers, accumulated savings, done their research and know exactly what they want…which is a good thing because there’s no test driving allowed prior to purchase. It isn’t a decision between this and a Ford Focus. It’s the type of car that is sought out by virtue of it’s uncommonness and purchased in confidence and certainty. Have you ever seen a Ferrari commercial?? Me neither. Seen many Ferrari dealerships? Nope. Why? Because it’s not for everybody…You aren’t either. When your value is set, the filtering is done for you. If a buyer is serious and looking for the best, he doesn’t have time for the low end of the market…he starts at the top. The challenge for us is not finding someone…it’s having the courage to be found. It requires courage because most women of the world aren’t waiting. They are setting their own prices and selling themselves. But when you know God, He’ll do the choosing for you. The investment of your trust in Him is not for nothing…it WILL pay. Put the process in His hands and leave it there…His marketplace is where extraordinary happens. Couldn’t have been expressed better!!! Love it! “Having the courage to be found.” Amen. Thanks so much, Clivette! You and I both know…waiting is NOT for the faint of heart. It’s way too easy to make it happen for yourself. But easily obtained is easily lost. God has the best in mind for those crazy enough to believe Him;). impeccable timing considering the start of a new year can breed the start of a new perspective. 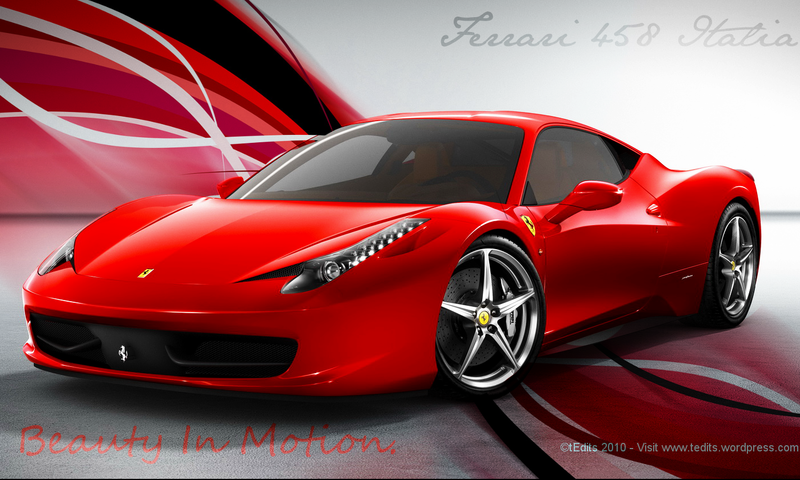 i absolutely loved your ferrari metaphor…all wrapped in the language of the marketplace…phenomenal!!! Hey sis!! Did you know that you’re the friend I was talking about in this post?? Thank you so much:)…we need to see each other soon. Maybe we can make it happen before your birthday, LOL. Love you! Thanks, Mrs. Boards:)!! Love you! Excellent article, definitely true and relevant. I will be sharing with the singles at our church and will encourage them to sign-up for the newsletter. Thank you so much, Robin! Wow! Some people have had trouble signing up, so i’m going to check that out this weekend. Let me know how it goes:). Good stuff. Single, I would tell friends all the time, don’t believe the hype! There is no shortage of men. I only need one! Like you said, trust in HIM. Not only that your man is out there but also trust in HIS leading, remembering that He brings people together for like-purpose not like-interests. He will give you the desire in your heart for all the things that are best for you and then HE will meet all of those desires. Awesome words, Jasmine and I wholeheartedly agree. I must admit, I’ve often gotten frustrated about the stats. Not just for black women, but Christian women…depending on the lens you’re viewing through, it doesn’t look pretty. But God let me know that it’s not the numbers/world’s outlook i’m depending on, but His. This whole marriage thing is such a precision science…if you want it done right and best, He HAS to do it.